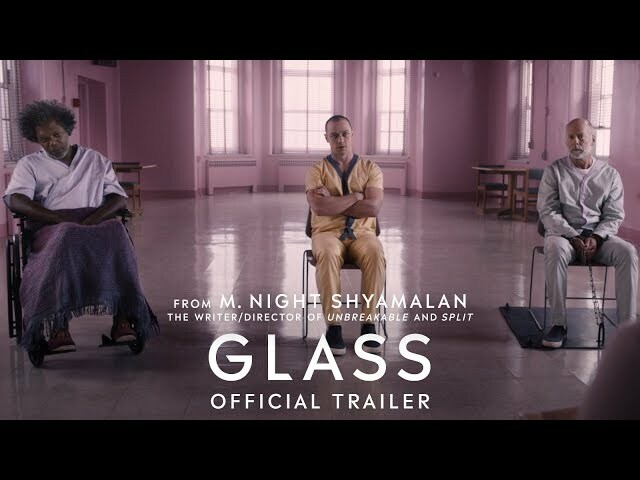 Glass (film, 2019). A 2019 American superhero thriller film with "PG-13" rating by Universal Pictures (United States)/Walt Disney Studios Motion Pictures (International). Directed by M. Night Shyamalan. Official Trailer. 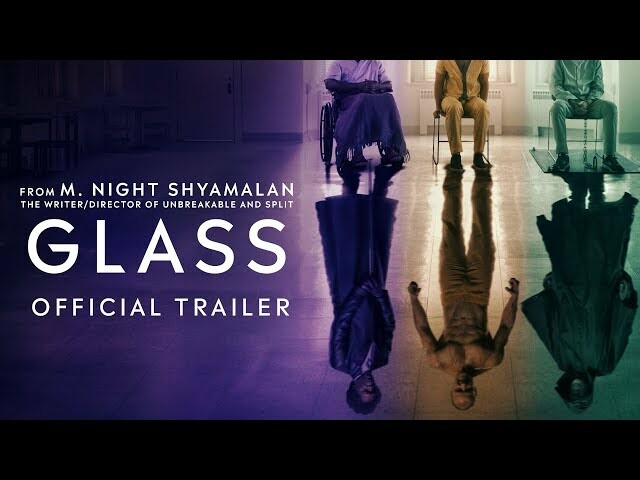 Glass is a 2019 American superhero thriller film directed by M. Night Shyamalan. 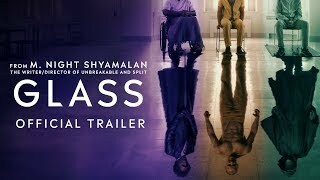 Glass - Official Trailer #2 . It has been three weeks after an infamous crime spree by Kevin Wendell Crumb, whom the press had nicknamed "The Horde". Superhuman vigilante David Dunn and his now-grown son Joseph have been working together to take down criminals, with David being christened "The Overseer" on the Internet. The pair set out to save four cheerleaders Kevin has abducted. Kevin's malignant psychopathic psyche is preparing to feed upon his captives until David encounters him outside in his in-control alter ego, "Hedwig". Discerning the cheerleaders' location using his extrasensory perception, David frees the girls but is attacked by Kevin's superhuman alter ego, "The Beast". Their ensuing fight spills onto public streets, where a seemingly specialized branch of the Philadelphia Police Department, led by Dr. Ellie Staple, activates a machine that flashes a set of hypnotic lights, forcing "The Beast" to switch identities. Staple convinces David to surrender, and both men are arrested. David and Kevin are sent to an institution for the criminally insane. 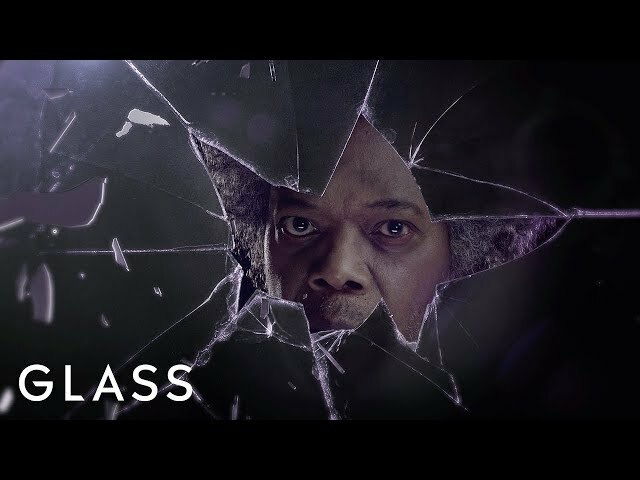 Also being held there is Elijah Price, David's sworn arch enemy, known as "Mr. Glass". Staple, the institution's chief physician, claims to specialize in working with patients who believe they have special powers. She has been given three days to persuade David, Kevin, and Elijah that they are "normal" people who simply believe they are superhumans; otherwise, they will be bound over for trial. To prevent their escaping, Staple places special security measures in the facility - a sprinkler system in David's room to take advantage of his alleged weakness to water, the same light machine in Kevin's room that forces the Horde to switch identities whenever hostility is detected, and several security cameras are installed throughout the building to monitor a heavily-sedated Elijah. Principal photography began on October 2, 2017, in Philadelphia, following a week of rehearsals, with plans for a thirty-nine - day shoot. 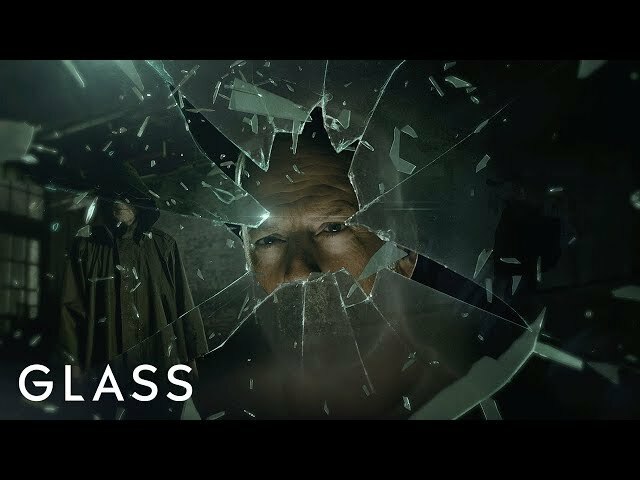 The film Glass was scheduled to be released by Universal Pictures (United States) and Walt Disney Studios Motion Pictures (International) on January 12, 2019 (Alamo Drafthouse Cinema), on January 17, 2019 (Germany), on January 18, 2019 (United States) and on January 23, 2019 (France). The duration of the film is 129 minutes. With a budget of $20 million, the film grossed over $246.8 million. 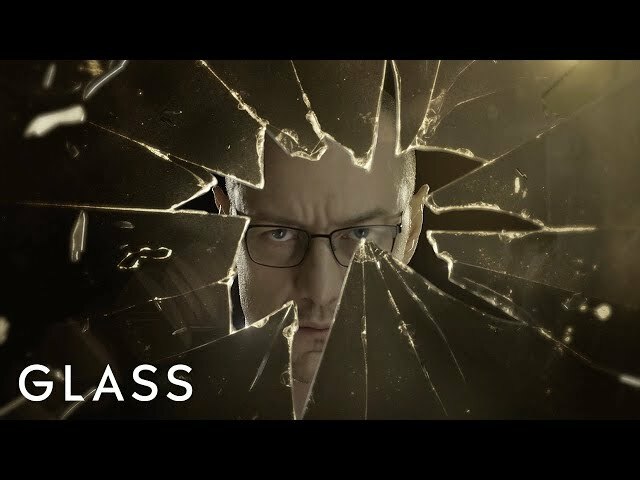 Glass got average rating from critics. But the audience likes the film. Audiences polled by CinemaScore gave the film an average grade of "B" on a scale ranging from A+ to F.